The Bootstock Association is a registered Scottish Charity which organise an annual music festival to help fund educational opportunities for disadvantaged children in the poorest and most remote regions of Nepal. We are also the official UK partner of Mitrata Nepal Foundation, a Nepal based NGO which helps underprivileged children and orphans. The 2019 Bootstock Festival will take place on 6th/7th September at the Resolis Memorial Hall on the Black Isle. 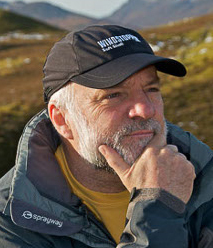 Author, broadcaster, wilderness hiker, and mountaineer Cameron McNeish is one of the leading authorities on outdoor pursuits in Scotland. Cameron is also a regular visitor to Nepal and has been supporting the Bootstock Association with several projects.